With the death of Markeis McGlockton, the debate over stand your ground laws has reignited. 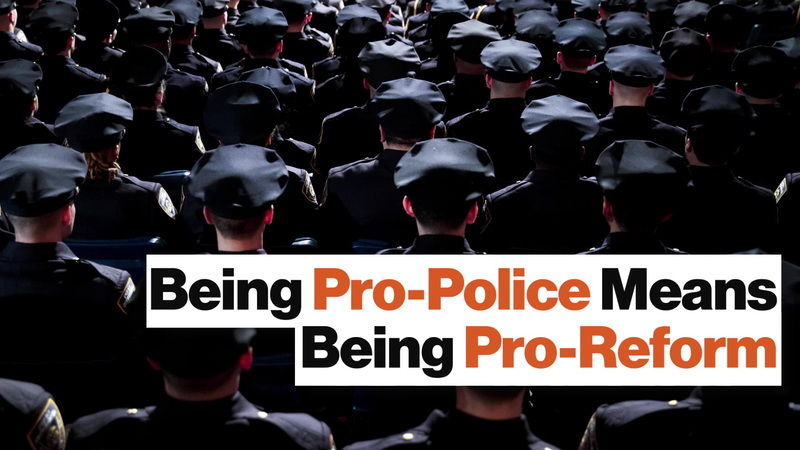 Proponents believe they make us safe, while opponents claim they encourage vigilantism. While a consensus may be inconclusive, studies suggest such laws aren’t as effective as their drafters intended. ​Markeis McGlockton parks his car and heads into a convenience store with his five-year-old son. A few minutes later, he notices a man screaming and cursing at his girlfriend, who is waiting in the vehicle with their younger children. McGlockton rushes out and pushes the man to the ground. The man draws a concealed handgun. McGlockton backs away, hands raised, but the man shoots him in the chest anyway. McGlockton retreats to the convenience store where he collapses in front of his son. Or perhaps the story goes like this: Michael Drejka sees a man park illegally in a handicap-accessible spot. He confronts the woman sitting in the car about their uncourteous behavior, and the argument escalates. From nowhere, the man returns to the vehicle and violently slams Drejka to the ground. Fearing for his safety, Drejka draws his firearm and justifiably shoots the man once in the chest. These two ways of understanding the death of Markeis McGlockton stand at the heart of the debate over stand-your-ground laws—self-defense laws that have been enacted in roughly half of all U.S. states—and his tragic death has reignited questions over the effectiveness of these laws and whether their enforcement is disproportionately affected by implicit biases. Self-defense laws fall roughly into three categories: duty-to-retreat laws, castle doctrines, and stand-your-ground laws. Speaking broadly, a duty-to-retreat law limits the use of deadly force to a last resort. As the name implies, if you can reasonably escape a threatening situation—say, by retreating into your home or driving away—then you have a duty to do so. In cases where deadly force is used in self-defense, such laws require a heavier burden of proof to support that such force was necessary. Castle doctrines state that you may defend yourself as needed within the bounds of your personal property. If an intruder attacks you in your home, for example, you have no duty to retreat and may use force, even deadly force, to defend yourself. Castle doctrines encompass personal property such as offices and, in some states, even vehicles. Finally, there are stand-your-ground laws. In 2005, Florida was the first state to pass such a law. The Florida statute states that people have "no duty to retreat" and have "the right to stand his or her ground," even going so far as to use deadly force if they reasonably believe it is necessary "to prevent imminent death or great bodily harm" to themselves or another. Critics sometimes refer to such laws as "shoot-first laws". Many other states have enacted similar laws since, but it is difficult to say precisely how many. This is because some states have adopted stand your ground in practice through judicial precedent, rather than officially legislating such statues. As a result, the American Bar Association [pdf] claimed 33 states had stand-your-ground laws by 2014, while the National Conference of State Legislatures lists only 25. The Giffords Law Center cites 28 states as employing stand your ground, but points out that California, Idaho, Illinois, New Mexico, Oregon, Virginia, and Washington permit deadly force in public without a duty to retreat. The difference, the law center notes, is that these states only allow shoot-first protections to be invoked during a criminal trial, whereas Florida-style laws can be used to protect shooters in pretrial hearings or prevent law enforcement from charging shooters altogether. We can see this discrepancy in the Michael Drejka case. The Pinellas County Sheriff did not file charges against Drejka, claiming Florida's stand-your-ground law as justification. But after reviewing the case, state prosecutors ultimately filed charges for the crime of manslaughter. There is no federal stand-your-ground law. Proponents of stand-your-ground laws argue that these laws keep law-abiding citizens safe. They also see duty-to-retreat polices as detrimental to victims, placing the burden of protection on them and unfairly making them liable for the outcome of altercations they did not initiate. Former Illinois Representative Richard Morthland argued such a case: "[S]tates are turning to these measures to uphold the principle that our laws must protect the innocent over the criminal, the peace-loving over the violent, and the law-keeper over the law breaker. In a situation where a citizen is under attack, it cannot be incumbent upon that individual to take extraordinary measures to avoid conflict that he or she did not initiate." Writing for the National Review, Ilya Shapiro, a senior fellow in constitutional studies at the Cato Institute, follows a similar argument, noting that citizens harmed by duty-to-retreat laws include victims of domestic violence. "Feminists thus support SYG and point out that 'you could have run away' may not work when faced with a stalker," he writes. "It's bad enough for an innocent person to find herself threatened by a criminal, but to then have to worry about whether she can retreat, lest she face prosecution, is too much to ask." Opponents of stand-your-ground laws, on the other hand, believe such policies encourage vigilantism and give malcontents legal protection to escalate altercations until they perceive bodily harm. Further, even those acting in good faith may lack the training or understanding to properly assess a situation should they enact stand your ground to prevent a perceived felony. "We need policies that defuse confrontations in public places, especially since more than 11 million Americans now have licenses to carry," writes Robert Spitzer for The New York Times. "The police and prosecutors need to be able to conduct full, unencumbered investigations. And gun owners need to admit what most of them already know: that firearms' lethality and ease of use make fatal miscalculation more like." They point to George Zimmerman, who was instructed by law enforcement not to get out of his SUV or approach Treyvon Martin, as an example of what can happen when citizens take the law into their own hands. Similarly, officials have alleged that Michael Drejka has a history of starting altercations with other drivers and brandishing his weapon during bouts of road rage. "In short, Stand Your Ground laws encourage the use of deadly force," says Philip J. Cook, ITT/Terry Sanford Professor Emeritus of Public Policy Studies. "These laws open the door to a more dangerous world where everyone feels pressure to carry a gun — and if they feel threatened, to shoot first and tell their stories later." Figure 1. Effect of "Stand Your Ground" Law on Homicide and Homicide by Firearm. Data points represent monthly rates of homicide and homicide by firearm in Florida and comparison states (New York, New Jersey, Ohio, and Virginia) between 1999 and 2014. Florida is represented by orange data points and regression lines and the comparison states by blue data points and regression lines. Gray-shaded areas depict the onset of Florida's stand your ground law. Straight-hatched lines represent fitted estimates using a linear step change model. The curved lines represent fitted values for seasonally adjusted models. Each side can rally data to support its argument. Consider Florida. Supporters can point out that the state's violent crime rate has dropped since 2005. However, opponents can counter that violent crime rates have decreased nationwide, not just in states with shoot-first laws. Who's right? While conclusive answers may be premature at this stage, current data suggest that these statutes aren't having their intended effects. A study published in the Journal of the American Medical Association found that Florida suffered an abrupt and sustained increase in monthly homicides after passing its stand-your-ground law. As a control, the study looked at rates of suicide and suicide by firearm but found no observable changes. The RAND Corporation's comprehensive report on gun policy in America, 'The Science of Gun Policy', dedicates an entire chapter to stand-your-ground laws and surveys several studies for its findings. The RAND Corporation found that there was moderate evidence to suggest that stand-your-ground laws increased total homicides, limited evidence to suggest that they increased firearm homicides, and inconclusive evidence to suggest that these laws affect other violent crimes. Finally, a study out of Texas A&M University [pdf] found "no evidence of deterrence" and that "burglary, robbery, and aggravated assault are unaffected by the laws." Like the other two studies, this one also suggests that the "primary consequence of strengthened self-defense law is a net increase in homicide." Is there a racial disparity for standing one's ground? After the shooting of Trayvon Martin, the Tampa Bay Times analyzed 200 stand-your-ground cases in Florida. The data set showed that nearly 70 percent of those claiming stand your ground avoided punishment successfully. However, the success rate varied depending on the race of the victim. If the victim was white, 59 percent of those claiming stand your ground succeeded; if the victim was black, 73 percent did. In a study for the Urban Institute, John Roman analyzed FBI supplementary homicide data from 2005-2010 to see if there was racial disparity in the enforcement of stand-your-ground laws. He found that black-on-black and white-on-white homicides had the same odds of being ruled justifiable. However, these odds changed dramatically when the victim and defender were of differing races. Roman's analysis found that "white-on-black homicides have justifiable findings 33 percentage points more often than black-on-white homicides" and that "the odds a white-on-black homicide is found justified is 281 percent greater than the odds [of a] white-on-white homicide." Based on these studies, the American Bar Association's National Task Force on Stand Your Ground Laws concluded that the application of stand-your-ground laws was racially uneven and recommended legislators amend or repeal such laws because of implicit racial bias. What's the future for stand-your-ground laws? Popular opinion over stand-your-ground laws is currently deadlocked. A 2013 poll conducted by Quinnipiac shows that 53 percent of Americans support such laws, while 40 percent opposed them. Broken down by race, white voters support stand-your-ground laws (57 to 37 percent), black voters oppose them (57 to 37 percent), and Hispanic voters are split (44 to 43 percent). By gender, men tend to favor them while women do not. With opinion split, state legislators have looked to modify such laws to garner favor from their constituency. Some aim strengthen them—such Sen. Rob Bradley of Florida, whose bill shifted the burden of proof in self-defense cases to prosecutors—while others have sought to weaken them, such as Rep. Garnet Coleman of Texas, whose bill would reinstate duty-to-retreat where applicable in public places. Outright repeal for any state seems unlikely. Moving forward, proponents will need to show that these laws really do protect law-abiding citizens. 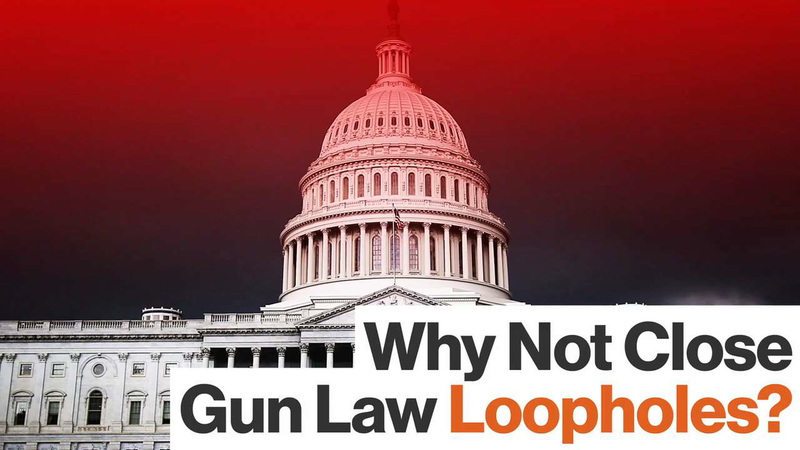 However, given the popularity of these laws, opponents will probably be unable to revoke them entirely and will need to rely on data to enact meaningful, measurable changes to existing laws to prevent further tragedy.